Volkswagen UK will look to address dealers’ profitability with the introduction of new models in 2017 – with the new Golf, Arteon and T-Roc SUV waiting in the wings. Alison Jones, Volkswagen UK passenger cars brand director, conceded that “profitability and complexity” were both key issues for dealers who showed their displeasure with the Volkswagen network with a third-bottom showing in the recent NFDA Winter Attitude Survey. Volkswagen were scored 3.8 out of 10 when asked to rate the franchise overall in a category which averaged a score of 6.1 across all brands –a 6ppt fall. 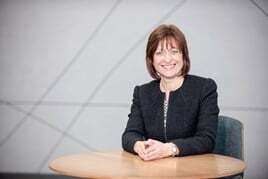 Jones said that she has worked hard to open channels of communication with her network since taking over from Alex Smith – now Nissan Motor GB’s managing director – in July last year, but believes the survey came too early. “When I came in I spoke to many of our investors early on. I am really open in terms of the style I have,” she said in an interview with AM at the Geneva Motor Show. “The two issues that arose were, one, network profitability, and two, complexity and we have been working hard to address that. “Yes I was disappointed when the NFDA Survey results came out because I was hopeful that we would at least hold our position. “I wrote to the partners today (March 7th) in an attempt to foster more openness and address the issues that the survey raised. Jones said that a recent dealer forum had allowed Volkswagen dealers to discuss their concerns in an anonymised style similar to that served up by the NFDA survey and she felt progress was made. She claimed that the fallout of dieselgate and the subsequent recalls had not been an issue for most dealers, adding that residual values had maintained used car sales at a steady rate. “At the recent dealer forum, we handed out iPads to everyone and asked for honest, anonymous comments,” she revealed. “We got 650 questions back and that has given us things to think about. We’re doing all we can to open the lines of communication. “The timing of the NFDA Survey came just ahead of our big conference at the end of January, though, and the feedback from that event was very good. “A total of 350 people attended the event and we also completed a tour of our service managers at three locations across the country. I total, I have managed to see 1,000 people from within the network in recent weeks. Jones said that dealers were just about to realise the potential of a CI makeover which has been completed in 90% of showrooms. Among the changes came the introduction of iPads, allowing customers to explore the range without the assistance of a sales executive, and a new push towards pressure-free sales. Jones said that recruitment remained in the hands of dealers, but suggested that the brand had encouraged the introduction of commission-free product experts in the style of Rockar’s ‘angels’. The NFDA Winter Dealer Attitude Survey suggested that Volkswagen dealers were feeling the strain of the CI changes and shift towards new technologies and staffing structures, though. When asked how satisfied they were with the level of capital investment in the Volkswagen franchise, retailers scored Volkswagen just 3.2 out of 10 – against an average of 5.5. That placed it second-bottom, with JLR’s ambitious Arch Concept securing it bottom spot with a score of just 3. Volkswagen aims to raise dealers’ spirits with a raft of new product in 2017, though. Jones said that 2017 would bring the first full year of sales of the new Tiguan and the introduction of the Tiguan AllSpace, new Golf and the T-Roc SUV. The new Arteon saloon, meanwhile, will seek to move the brand into more premium territory.